How do I reserve/cancel my class? Hanbridge Mandarin virtual classroom is the advantaged internet tool which is aim to create a campus learning atmosphere for students to study Mandarin with live teachers online without the restrictions of time and place. Our experienced Chinese teachers will teach you face to face and use curriculum appropriate for your goals and learning style in our virtual classroom. Utilizes the latest in technology to support better student interaction, learning and performance. The virtual classroom is stable, secure and reliable. Teachers and students can share desktop views to facilitate understanding and all participants can write, revise and see content in real time. Our classes can be scheduled with just 24 hours notice and can be changed or cancelled with no penalty with as little as 12 hours advance notice. 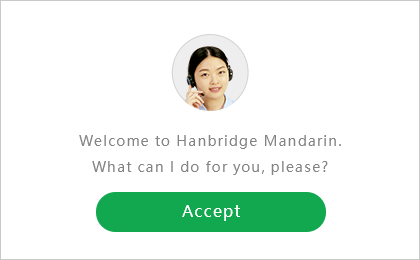 The Hanbridge Mandarin Virtual Classroom supports all Windows, Mac, iOS and Android formats. Schedule and change classes to suit your schedule.